As parts of the upper Midwest are getting pounded with upward of two feet of snow and below-freezing temperatures courtesy of Mother Nature, residents in Pahrump can look forward to chilling out a different way on Monday, April 15, with a free frosty treat courtesy of the folks at Kona Ice. 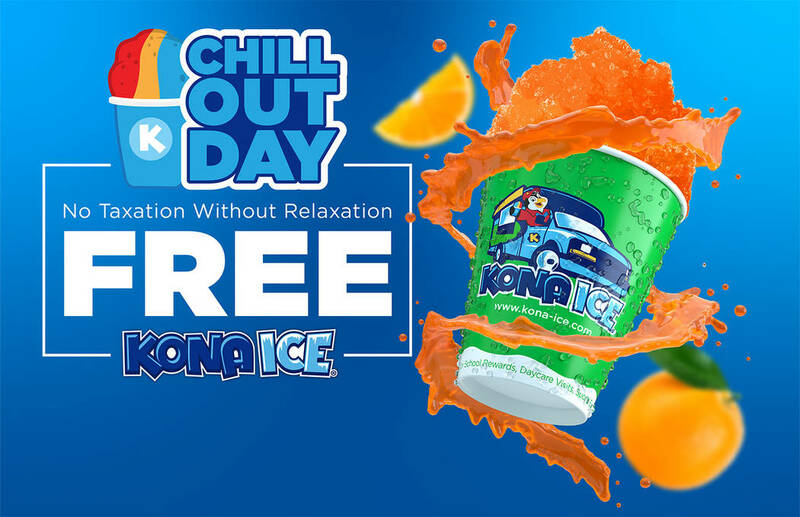 Special to the Pahrump Valley Times During "National Chill Out Day," Kona Ice will provide free shaved ice treats at the VFW Post 10054 from 2-to-4 p.m. on Monday April 15, which is federal tax day. The VFW is located at 4651 Homestead Road. The refreshing treat will ensure that there is "no taxation without relaxation this tax season," company officials said. It should be noted that the weather forecast in Pahrump on Monday calls for pleasant, sunny conditions with a daytime high temperature of 77 degrees. As stated in a media release, the annual nationwide event was created by the company to help relieve taxpayers of the stress associated with meeting Monday’s federal deadline for tax day. Though the event has been in existence across the country for the past six years, Las Vegas Kona Ice franchisee Jim Karr said Monday marks the second year Kona Ice has made a stop in Pahrump for tax day. Unlike last year’s event, Karr said this year he’s added a twist, to the benefit of the VFW Post. Karr also made sure to note that the kids or other members of the community need not bring a can to get a free Kona Ice cup.